"Great production values with a price tag to match." For many years the company Rosetta Stone has had a virtual monopoly on the language learning market. However recently a brash, new competitor Fluenz has entered the market, and in the words of associated press "Fluenz trumps Rosetta Stone". This sentiment is something that many customers frustrated with Rosetta Stones immersion approach would agree with. Fluenz in contrast uses a much more structured approach to teaching Italian with clear explanations in English and learning objectives for each lesson. To help you navigate your way through the program you are provided with your own personal video tutor Sonia Gil, who is also one of the founders of the Fluenz language learning company. 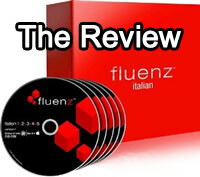 In this review I will look at how effective the Fluenz approach really is at teaching Italian. I will also look at what you get when you purchase the Italian language course. Below you learn some of the faults I have found with this course, as well as the things I really like about Fluenz Italian. At the end of the review I will provide you with an overall recommendation and suggest who will benefit the most from Fluenz Italian. Computer Course - This is the primary Fluenz language learning course and is comprised of 5 DVD-ROMs. In total there are 150 lessons which are up to two and half hours each. On each course you are guided through exercises by your video tutor Sonia Gill. Audio CDs - There are five audio CDs that come with the Fluenz language course. The purpose of these is to allow you to practice your Italian skills while you are on the go. These can be listened to in your car, or alternatively can be copied to your iPod or MP3 player. Phrase Book Navigator - The phrase book navigator is a pocket sized guidebook which contains all of the key words and phrases a traveller will require when in Italy. Podcasts - Fluenz Italian also comes with podcasts that you can listen to on your iPod or MP3 player. These are regularly updated and you will be able to access new podcasts as they are produced. The primary teaching method in Fluenz Italian uses what are called "Workouts" which are essentially practice exercises. Typically a workout will begin with you listening to a video dialogue in Italian. 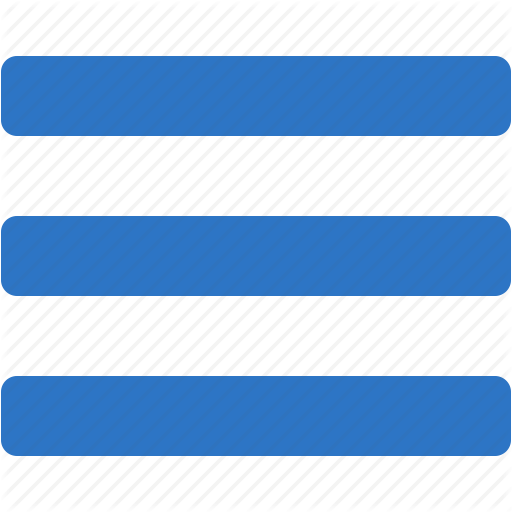 It is recommended that you listen to the dialogue three times. On the first play through English subtitles are provided, on the second only Italian subtitles are given and then on the third you have no subtitles. After this you will be given a number of exercises to perform. This might involve matching Italian words or sentences with their English translation. Or hearing a word in Italian and then typing that word in English. All of the words are repeatedly drilled until you can't help but remember them. Fluenz Italian 1+2+3+4+5 costs $398. This includes all five levels of the Fluenz language course. Fluenz provides free shipping to any location within the United States. The course comes with a 30 day money back guarantee. During this 30 day period you can return Fluenz Italian for any reason if you are unsatisfied. Fluenz also sells each of the five levels separately, or introduction and advanced packages. The costs of these match how many disks you purchase. Highly Intuitive Interface - One of Fluenz unique differentiating factors from other language courses is their emphasis on design. Fluenz Italian incorporates a highly intuitive interface, which makes it possible to get started without having to read through the user manual or watch the provided tutorials. Sonia Gil clearly explains what is expected of you at each step, which is yet another advantage of the one-to-one style of Fluenz Italian. Clearly Structured - The creators of Fluenz clearly state that they believe that immersion learning has its limits for a language course. While the Fluenz course does use video recorded conversation as part of its teaching method, its lessons are more structured that either Berlitz or Rosetta Stone. At the start of the lesson Sonia Gil explains the words that will be covered in the lesson and the important grammar points. Each lesson has clear purpose rather than just conversational practice. Great Support and Community - Fluenz offers a very good level of support for their product. There are numerous ways for you to obtain technical help if you have any problems with the course or its installation. Fluenz offers live chat on their website where you can talk directly to their technical support staff. They also have a phone number you can call and contact form you can complete if you don't have time to talk to someone in person. The Fluenz staff, including Sonia Gil, are very active on social media such as Facebook. This is another way to reach out for help or simply to get to know the creators of the product a little better. No Unnecessary Extras - The creators of Fluenz have done their research carefully and have avoided the mistakes of their rival Italian language courses. Two things which aren't included in Fluenz Italian actually increase its value. Firstly Fluenz Italian has done away with speech recognition. Speech recognition is one of those technologies that sounds like it would be helpful, but in practice is distracting. The reason being that the technology isn't really capable of capturing small nuances in speech yet. Fluenz Italian instead allows you to record your voice and then compare it to a native speaking in Italian. This achieves much the same affect as speech recognition but without the frustration. Another welcome absence is the lack of games in Fluenz Italian. Generally these games are much less fun, than the promotional material would suggest. Instead Fluenz concentrates on the fundamentals and helping you to achieve conversational fluency as rapidly as possible. Initial Assessment Test - If you already have some Italian language skills then trying to determine which level you should begin with is challenging. One improvement that could be made to Fluenz Italian is the addition of an initial assessment test, which would determine which level you should begin with. Such an initial test is offered for the "Tell Me More" language learning courses. This is not a problem if you are a beginner or early intermediate Italian speaker. But it is something to consider if you have advanced Italian skills. It Is Expensive - There is no avoiding the fact that for many people Fluenz Italian will be simply too expensive. While it is possible to purchase individual levels for less money, if you want to purchase the entire course it is going to cost you almost $400. This is a high quality course with great production values, but it has a price tag to match. Fluenz Italian is a well structured language learning course that looks great. Unfortunately for many Italian language learners the high price tag will be a deterent to purchasing the course. Fluenz Italian is not without its flaws, but compared to other courses such as Berlitz Italian and Rosetta Stone Italian it is a superior product. Recommended to anyone who is committed to learning Italian and doesn't mind paying for this high end course. If you're looking for a similar but newer program, at a lower price, I can totally recommend trying out Rocket Italian and their free 6 days trial run of the full course, before you make a rash decision on Fluenz.